Get a sense of the local culture at Howick Historical Village and Manukau Heads Lighthouse. We've included these beaches for you: Piha Beach and Bethells Beach. 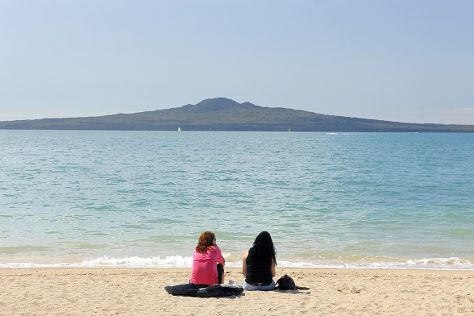 Get out of town with these interesting Auckland Central side-trips: Otama Beach (in Kuaotunu), Warkworth (Goat Island Marine Reserve & Tawharanui Regional Park) and Wine Tours & Tastings (in Waiheke Island). The adventure continues: examine the collection at Auckland Museum, take a stroll through Parnell, steep yourself in history at Couldrey House & Garden, and kick back and relax at Whangapoua Beach. To see ratings, reviews, and tourist information, use the Auckland Central road trip app . August in Auckland Central sees daily highs of 13°C and lows of 13°C at night. Wrap up your sightseeing on the 27th (Thu) early enough to travel back home.